It’s tempting to begin crafting resolutions as soon as the calendar turns over to December. But this year, instead of focusing on self-improvement, we’ve decided to take a page out of Steven Izen’s book and start seeking wholeness. Balance. A life full of highs, lows, and everything in between. Haven’t heard of Steven Izen?.. 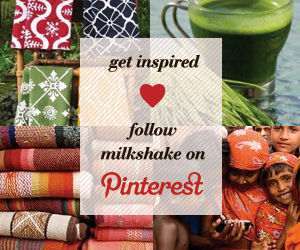 Milkshake Loves SUBSCRIBE TODAY Get great finds that give back! Like Pinterest For Your Wall!